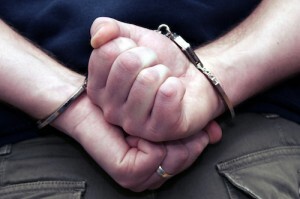 Experienced and aggressive Auburn criminal defense attorneys. Our team of Auburn criminal lawyers knows that being charged with a crime is one of the most startling and stressful experiences that a person can have. We know that you’re feeling scared, frustrated, and nervous for your future – and it is important to work with a resourceful and knowledgeable criminal defense attorney to ensure that you are afforded the best defense available. At the Law Offices of Auburn criminal lawyer Jason S. Newcombe, our goal is to build each of our clients the defense that they deserve and protect their rights as accused individuals. We understand the stress that your legal circumstances are placing on you and your family, and we have the knowledge and experience necessary to help you win your case and return to your normal life. Being convicted or even simply accused of a crime can have a drastic effect on your life. A conviction may affect your employment status, ability to find a job, and your ability to provide for your family. Your relationships with your friends, spouse, and children may be changed. You could also lose your driving privileges. A criminal charge is something to be taken seriously, and it’s important to refer your case to an experienced group of Auburn criminal lawyers as early as possible to ensure the best possible outcome. We take a thorough approach to each case, combing through all evidence against you to make sure that it was acquired appropriately and that the police did not take any liberties with your case. We understand how difficult this is for you – and our goal is to help you adjust and make the process as easy as possible for you and your loved ones. If you are in need of an Auburn criminal defense lawyer, call us today to learn how we can help you.